Munchkin Soccer is a program where we teach kids the fundamentals of soccer which will create a foundation to excel at the sport in a fun and creative environment. How many practices are there? Practices run for 4 weeks and take place on Thursday nights at the St Hilary soccer fields. How many games can I expect? Since the children are just starting to learn the sport, there are no games against other schools. However, when time permits during practices, we will have the kids scrimmage against each other in a safe and organized manner. Start dates will be available in early September-Fall and early April -Spring. Season starts late September-Fall/late April-Spring. All Saints Soccer is an organized league that allows your children to play against other teams from St. Vincent and St. Sebastian. Game scores are not tracked. It is an organized way of letting the kids learn what it is like to play in a game setting without the pressure of winning or losing. Uniform: Shin guards, cleats and a #3 ball are required. A team t -shirt will be provided. Typically there is 1 practice a week. The day of practice is decided on by the volunteer coach who will contact you with team specific details. such as practice dates/times and game schedules. The season runs for 6 weeks with games scheduled on Saturday mornings between the hours of 9 am-11 am. All games take place at the Fairlawn Soccer Fields on Ridgewood Road. CYO Soccer is an organized league that allows your children to play against other schools. 1-2 practices a week on the St. Hilary soccer fields. 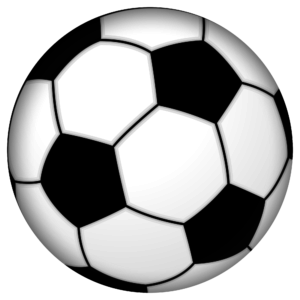 Soccer season is typically 8 weeks long with games occurring on Saturday and Sunday. Schedules available August 17 on the CYO website. GAASA is an organized league that allows your children to play club level soccer teams. It is more competitive then CYO soccer and rules and regulations are different. Team sizes are limited and therefore, players who participated in fall soccer will have team priority, with players being added in the order in which they contacted the soccer commissioner.